How many times have you heard it? It’s an old school rule: one should learn endings first and only then switch to the earlier content. 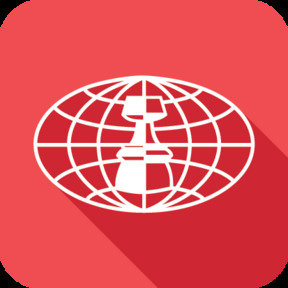 Arguable it’s true, if we follow the advice of some of the biggest chess names of all time. 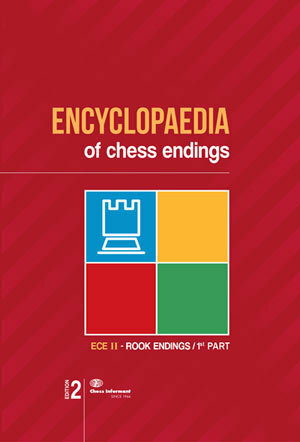 The First Edition of ECE II Rook 1 was compiled by Andras Adorjan, Alexander Beliavsky, Walter Browne, Lubomir Ftacnik, Anatoly Karpov, Garry Kasparov, Lubomir Kavalek, Vlado Kovacevic, John Nunn and Jan Timman. The Second Edition comes to the surface 30 years later! It is still based on the work of these giants, but heavily updated and revised. There are 1,930 educational examples inside (actually more than 2,000 if we count separate endings in variations). You do not expect randomness with Chess Informant. ECE II covers R3, R4, R5, R6 and R7 according to the classification of chess endings (see below). No doubt, this is a most valuable tool for learning endgames, which will be greatly appreciated by advancing players or trainers. Yet, if you are looking for verbal explanation, it is the wrong place to go. Nobody will tell you about the sixth rank rule, the bridge, a- and c-pawns vs. rook, or simple things like the rook should be placed behind the pawn aiming to promote and that you should cut the opponent’s king off. But you will recognize not only this but much more by yourself. After Page 511 the moment of awakening will come on a clear, sunny day: Your technique will be precise and these complicated maneuverings will already be in your DNA because you used first-rate resources with which to do your own methodical work. This book won’t let you down and leave you fading into chess obscurity. Remember, the desert (all these openings, middlegames, combinations) comes later. Statistically, rook endgames will emerge in 80% of all endings. In the chess world they say that all rook endgames are drawn; but it is also true that we all want to win. So, let’s do it!